Just popping into your inbox this Sunday to let you know I have just 2 archival giclee prints of my original embroidery The God of Crabs available to buy now. The quality is gorgeous, slightly larger than life at 42.5cm square. This is slightly too large for my ideals, so I’m only asking £65 + shipping. Contact me to purchase. Join me in January for my next workshop! Suitable for students with some hand-embroidery experience looking to extend their skills or ready to plan their own projects, this class focuses on preparation and will give you the confidence and skills to turn your ideas into original art. Maybe you have only completed embroidery kits, or other’s designs so far. Or maybe you’ve mastered one technique – like cross stitch – and now want to push out into other techniques. Or maybe you’ve simply got a burning desire to embroider mushrooms and don’t know where to start! This is the class for you. In this workshop we will examine how I bring an idea through to realisation in stitch, in 4 stages: Conception, development, planning and pattern transfer. In the morning we will begin with group discussion of your ideas and take a look at some of my embroidered art work – from initial sketches to completion. Then we will begin working on drawings and designs and approach relating these to techniques. After lunch we will examine all the different materials I use in my textile art and how each could be used in your design. We will look at fabric, threads, embellishments and tools, and use the afternoon to develop a stitch plan which will include a good investigation into the various ways of transferring patterns. Students will get the most out of this class if they come prepared with a clear idea of the piece they want to work on, as this will provide the focus of the day. Everything you need will be available to use in class but feel free to bring your own sketchbook if you use one, and any reference materials or materials you would wish to use in your embroidery. As a self-taught artist, ultimately this day is about inspiring confidence in your own abilities to be empowered in your own creativity, and overcome any fears or hesitations you may have. This 4 hour workshop takes place at SEWMANCE, a community space dedicated to bringing creatives from Brighton and beyond, together to explore. SEWMANCEhome, The Crypt, St George’s Church, Kemptown, Brighton BN2 IED. Places are very limited and cost £65 each. Contact me to book, or book through my Facebook page here. Lots of exciting news happening with me at Mother Eagle Towers. First up, join me on 29th October in Worthing 10am-4pm for my Embellishment Workshop, where I will teach you the techniques to make one of three exclusive Halloweeny designs pictured above. Plus lots of one-to-one coaching in applying your own creativity to textile design. Suitable for all abilities, places are extremely limited and cost £75 which includes fabric, hoop, instructions, needles and use of my entire embellishment cache! Plus I can promise it will be a fun and informal day and there will be pumpkin themed snacks. Contact me here to confirm your place! Catch pieces from my Ugly Gods series at Stitch-Up at Brush in Brighton from 19th September until 3rd October. I am also delighted to announce that you will be able to see the entire collection of Ritual Burials and Extinct Icons at ONCA Gallery in Brighton from 22nd November to 3rd December in the largest exhibition of my work to date. The event runs as part of the annual Remembrance day for Lost Species programme and promises to be a really dynamic and exciting curation of my work. The private view will be on the evening of 23rd November and I would invite you all to come along, I’d love to meet you. As part of the programme of events for this exhibition and Lost Species Day I will also be running a Hand Embroidery and Embellishment Masterclass on Saturday 25th November at ONCA from 10am-4pm (times TBC). The theme of the workshop is Pollinators and I will be teaching techniques used to make one of 2 designs – a beetle (see above) or a moth/butterfly. This will be a special day for textile art enthusiasts and due to the very limited nature of the places available, all abilities are welcome as I will be able to give lots of one-to-one attention. Places are £75 and will include fabric, hoop, instructions, needles and use of my entire embellishment cache. There will also be a special goodybag for each attendee! After a hiatus of many years, commission slots are now available for purchase in my Etsy shop. Head on over there for all the details! So. What next. 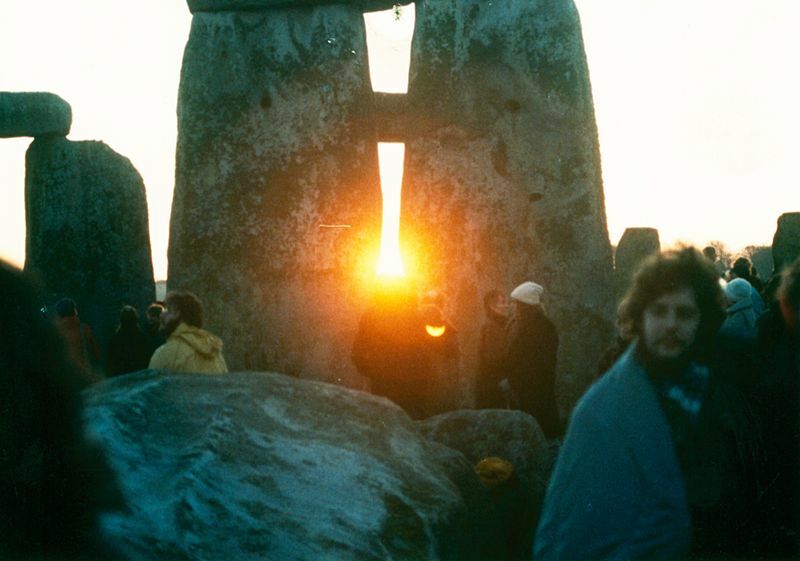 Being that we have recently had the astrological events of summer solstice (in the northern hemisphere) and a Super Moon, I thought at this mid point it would be good to take stock of where I am so far this year – Mother Eagle speaking. It’s been nice now that the weather here is warm, to be ‘free’ of any embroidery commitments, and be able to do other things, projects, pottering around the house etc. But I have to say I have missed the focus that embroidery gives me and also quite relieved to find that I still feel this way! Considering we relocated, moved house, got new jobs etc etc. I guess it’s not too bad that I have done 7* pieces and a large commission so far. But I have to think: Am I really going to complete these 5 more pieces AND then get a winter collection of another 13 pieces in before christmas? On the one hand at the moment I feel like I want to do familiar reworkings of old designs, but also I want to make sure I have some seasonal things ready for Christmas. I also feel a bit bored by stumpwork at the moment and want to do some flat work, focusing on the technique and the shape. So that’s what I’ll do: A Hare, a Stag, probably a Toad too. I also really want to do more wildlife again – Hedgehog and Badger appeal considering they are so threatened in Britain now. It’s so luxurious to be able to have complete creative freedom and recognise what a gift that is. I also just want to tell you that until the end of July you can get 20% off selected pieces exclusively in my NotonTheHighStreet shop. The March Hare and the Amethyst pendant have already sold out so make sure you have a look! 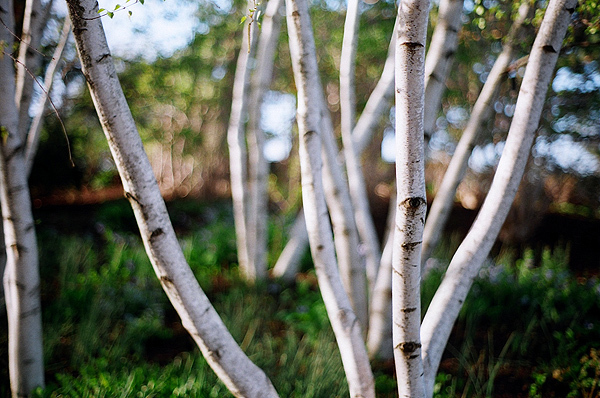 The Birch tree is a truly beautiful and very magical tree indeed. One of it’s folk names is ‘Lady of the Woods’, and it’s not much of a struggle to see that being silvery in appearance, it has lunar, and therefore feminine associations. 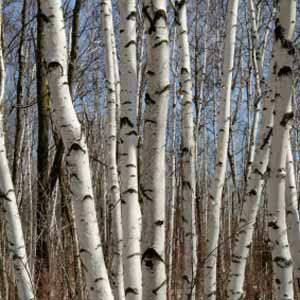 In Tarot Birch corresponds to the Star, and also to Venus in planetary realms. 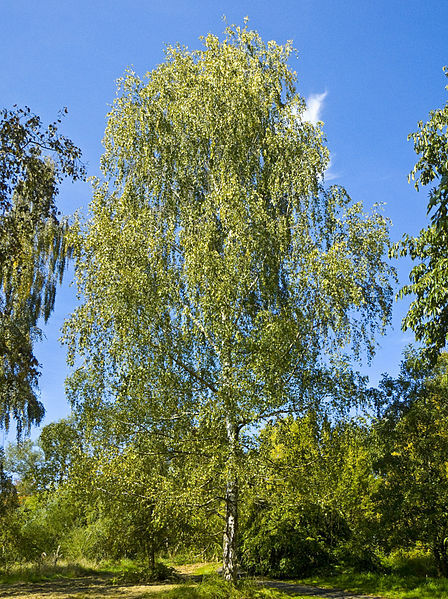 Birch is a tree of strong Druidic Ogham associations and indeed it represents beginnings, and is the first Moon of the Celtic year (24th December – January 21st). It is one of the nine sacred woods of the beltane fire, and one of the three pillars of wisdom (Birch, Oak, Yew – also corresponding to the three ages of man). 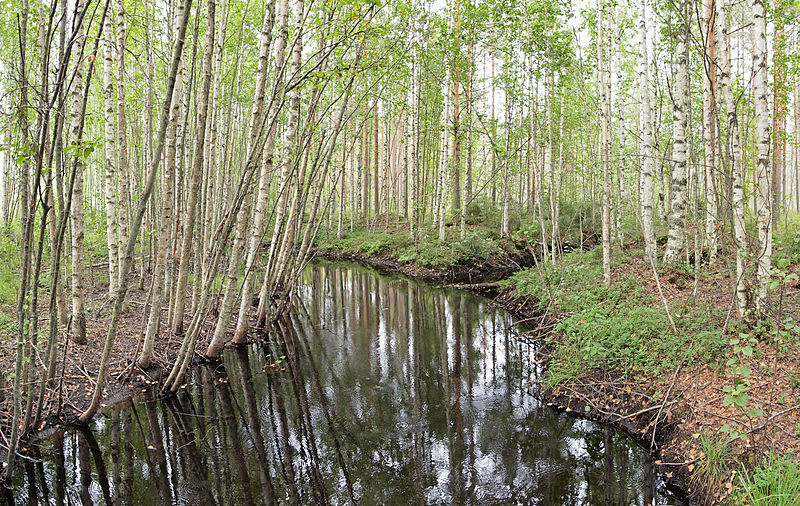 Birch twigs have been used to exorcise spirits by gently striking possessed people or animals, since the birch has purification abilities. The tree is also used for protection, particularly against lightening (it is sacred to Thor). The traditional witches broom is made of birch twigs, ash staff and willow binding and these were particularly powerful in magic.